Welcome to Two balloons. Here you will find fun, but witty resources. Mostly mathematics, but always aware of nature and environment. Find the path and have fun with this maze activity by circling or coloring the odd and even numbers on your way. All in gardening and environmental friendly theme. 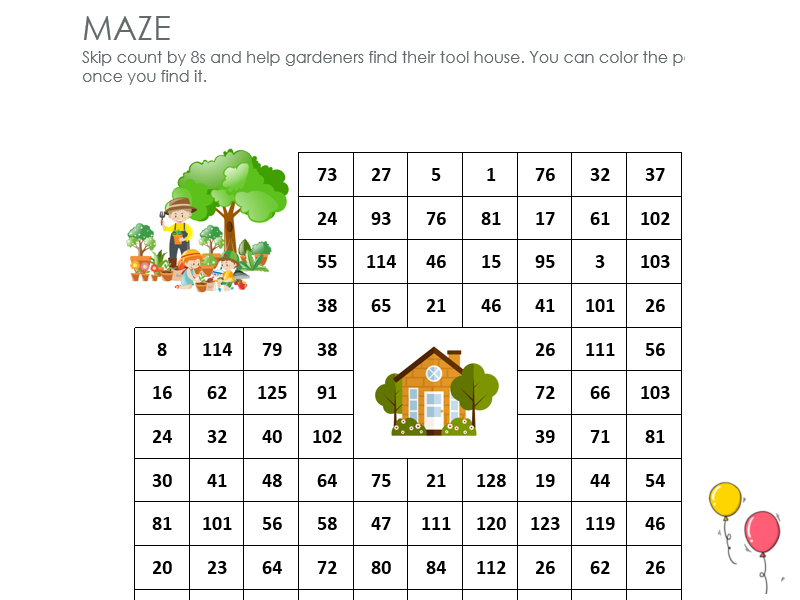 Fun mazes with gardening theme and scenario. Maze is math game where one must skip count by 2s, 3s… 8s to solve maze. This game also develops the creativity and cognitive skills. Have fun solving shape-hunting puzzles. Graphic is a combination of different basic shapes. The task is to count how many times each shape is used in the graphic and to write the number down in marked place. 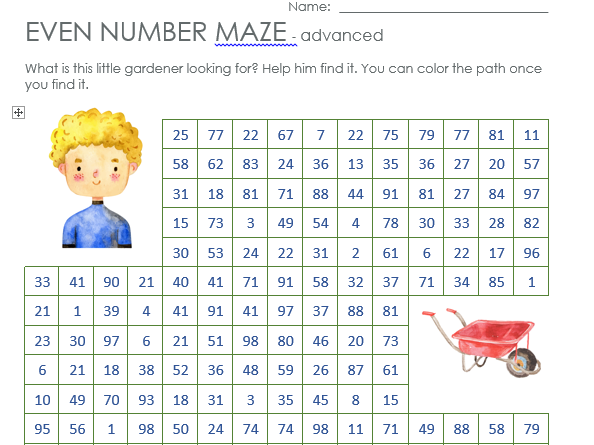 Find the path in this maze activity by circling or coloring the odd and even numbers. Have fun with gardening and environmental friendly themed maze.